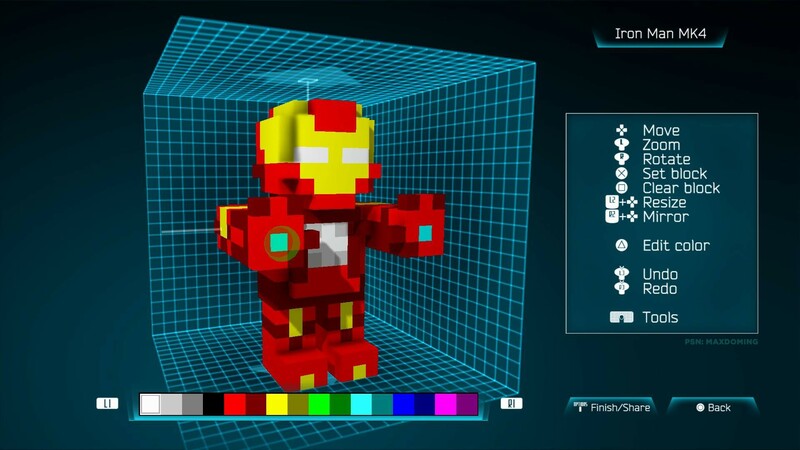 On Sunday 22nd, XDEV Studios released a free update for Resogun on the PS4. Update will include: local co-op, more trophies, hall of fame & ship editor. The community has jumped on the chance to show off their ship building skills and been posting them all over twitter, with some very creative builds. Check out some of these designs below. 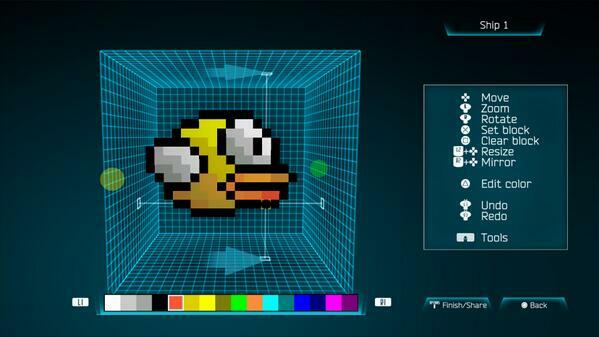 Here we see Wario64’s Flappy bird design. Let’s see if he can dodge the barrage of bullets coming his way. It’s a step up from flapping between pipes! 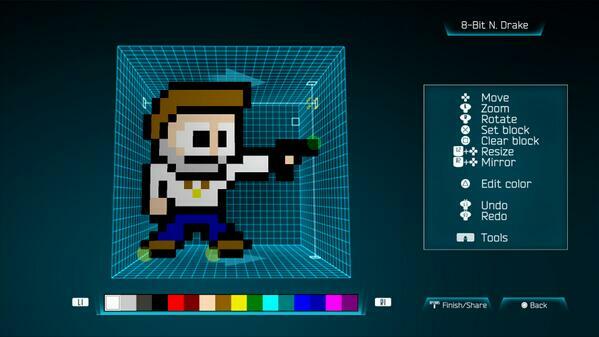 Nathen Drake is going for an 8-bit look. Created by Patrick Ammon. One of my favorites, Iron Man !! created by maxlaughables on Redit. I highly recommend this update and check out the numerous expanding fan make creations. It adds more fun and replay value to game you may have already completed. Also since day one I have been awaiting the addition of co-op gameplay and I am pleased to see it has finally arrived. Tagged with details, DLC, free dlc, gaming news, heroes dlc, info, latest update, patch, release, resogun, update.